Hope everyone had a great week - not sure where mine went. 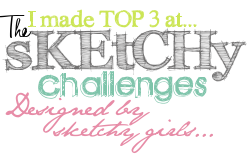 It is Friday and time for a new challenge over at Crafty Catz. 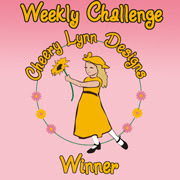 This week, it is the lovely Trish's turn to host and she has decided on lots of circles for our theme. So, we would love to see your cards and creations with lots of circles on them. 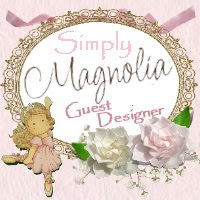 I hope you will be able to join us! As always, we have a fabulous prize for one lucky participant. 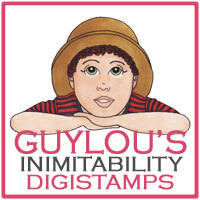 This week our sponsor is Guylou's Inimitability and the winner will receive ﻿a $10 gift certificate to her online store. Guylou has provided the DT with a couple of images to work with this week. For my card, I selected Chuck at the Beach and cut out Chuck, as I wanted to pop him up on top of a circle - so the beach is missing. I coloured Chuck with pencils. The border around the circle is a stamp from the Stamp and Punch set by Hot Off the Press. It was stamped in Scattered Straw DI and embossed with clear power. The bubbles are from the Making Waves set by Close to My Heart, stamped with Tumbled Glass DI. The center was inked with Tumbled Glass and Weathered Wood DI. Card is Bazzill and paper is TPC Studio - Undersea Adventures. Puffer fish and sand dollars have been cut out from the paper. Border punch is Martha Steward, ribbon and card candy is from my stash and the sun is from the Sesame Street Cricut cartridge. If you are looking for extra inspiration, be sure to check out the rest of the beautiful DT cards﻿, then pop on over to the Crafty Catz blog to link up your project. Thanks for stopping by and for taking the time to leave a comment. I really enjoy them. Hope everyone has a wonderful weekend! Dawn!! Loooove your card!! Chuck looks totally fabulous on this great design!! Thanks for using a Guylou's Inimitability image and making such a beautiful project. Gorgeous male card Dawn, the image is so cute and I love those snazzy papers. Oh Dawn this is super cute! Love the fab paper and this little guy is really cute! 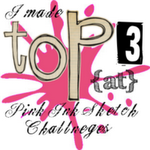 Thanks so much for joining us at Simon Says Stamp Challenge!